Estão disponíveis estas duas almofadas em tons rosa para princesas pequeninas. Outras da mesma colecção aqui. Outras sugestões no blog da Sandra. 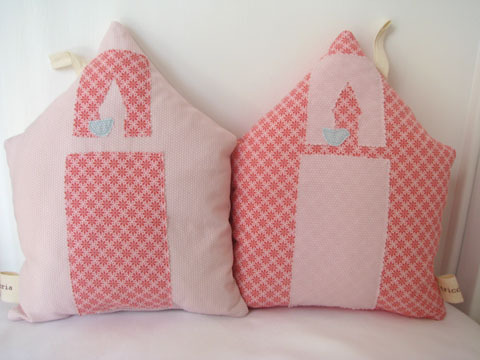 This set of two pink pillows is now availabe. I've made them thinking in little princesses. You can see others from the same collection in this post. More Saturday shopping? Check out Sandra's lovely blog. Little princesses will love these ! Ohhh....in love with these! How sweet!